Happy Friday! I hope you’ve been following the blog this week because we have an awesome challenge for you! 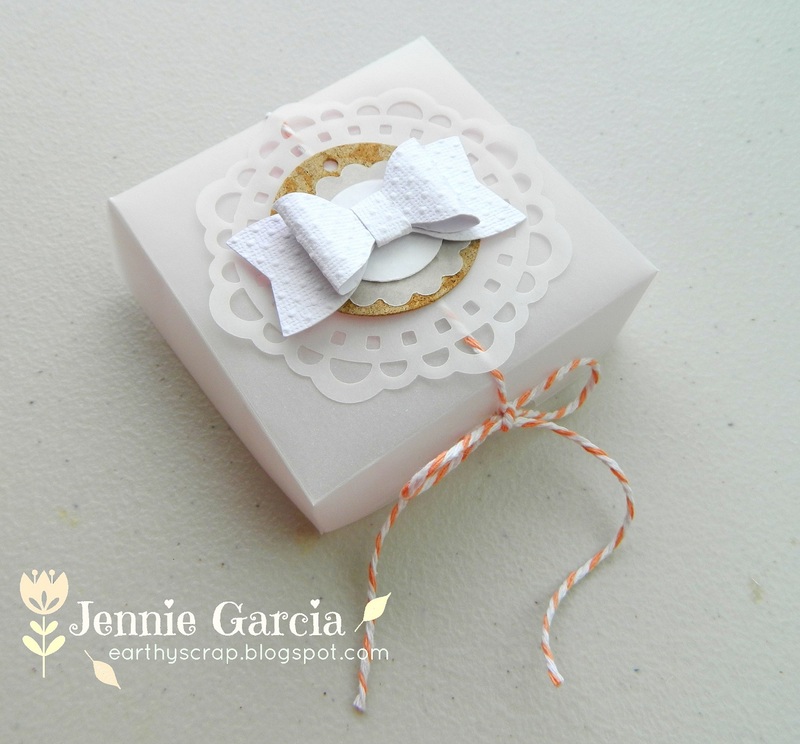 In case you don’t know, the challenge is any Valentine’s Day project! 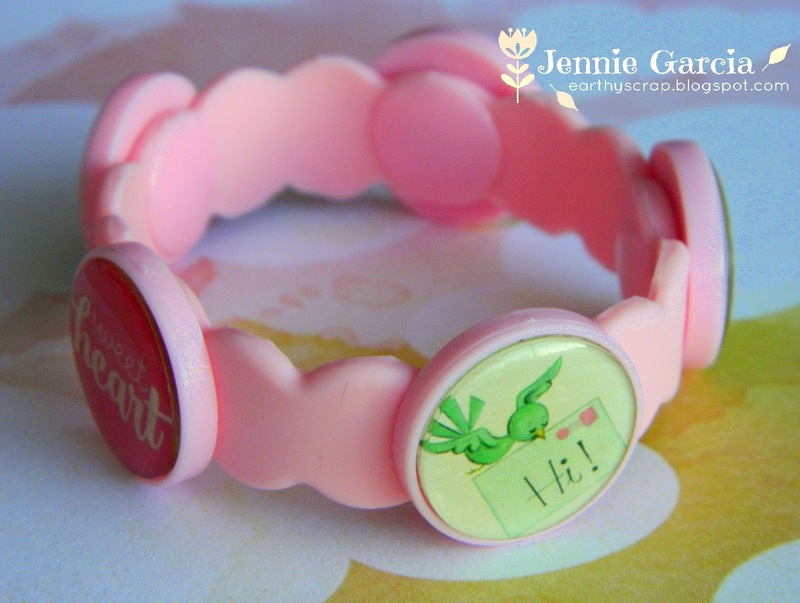 Make sure you link your lovely creation HERE for the chance to win some LOVE from Tombow! For my project I made a gift for my daughter! 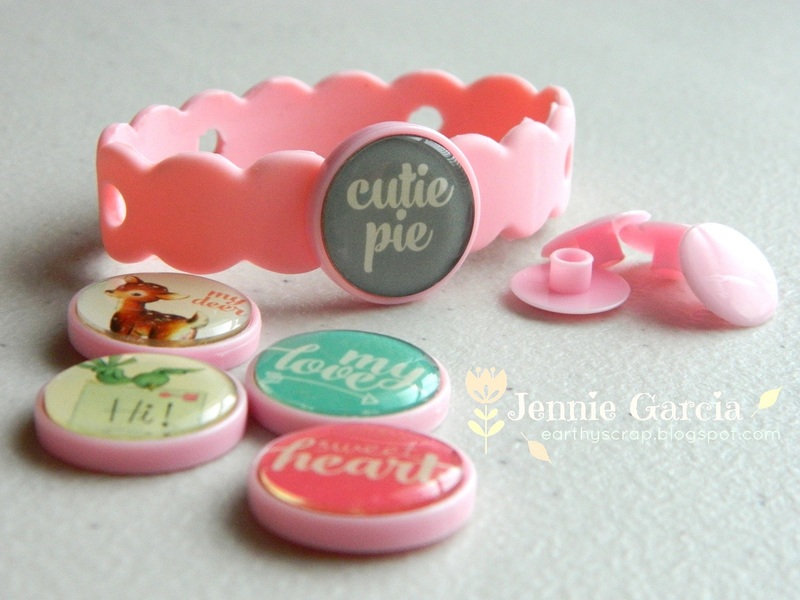 To make it I used a Crafty Bands Kits, the packaging of Pretty Little Studio Flair Buttons and the Tombow Xtreme Permanent Adhesive! 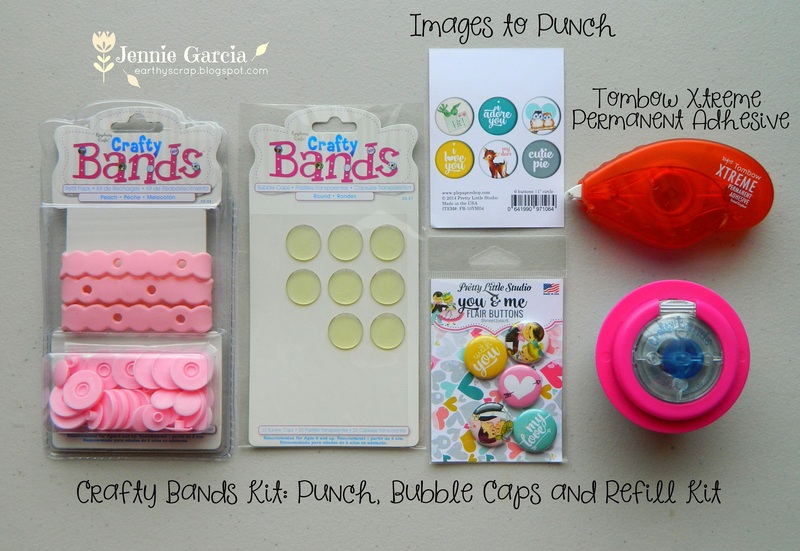 I chose to punch out the packaging of these flair buttons because the images are a little less than an inch and it fits perfectly in the Crafty Band Punch! 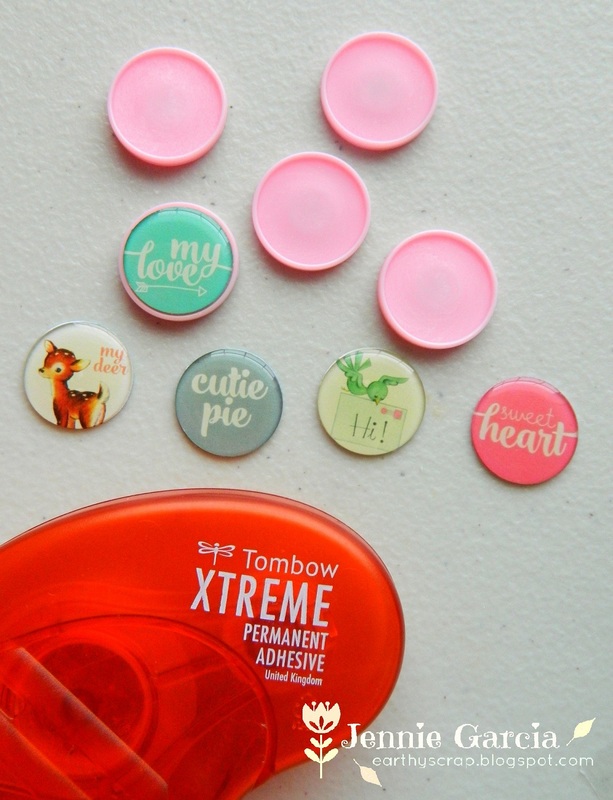 Once you punch 5 of them, glue the Bubble Caps to the peach circles using the Xtreme Permanent Adhesive! 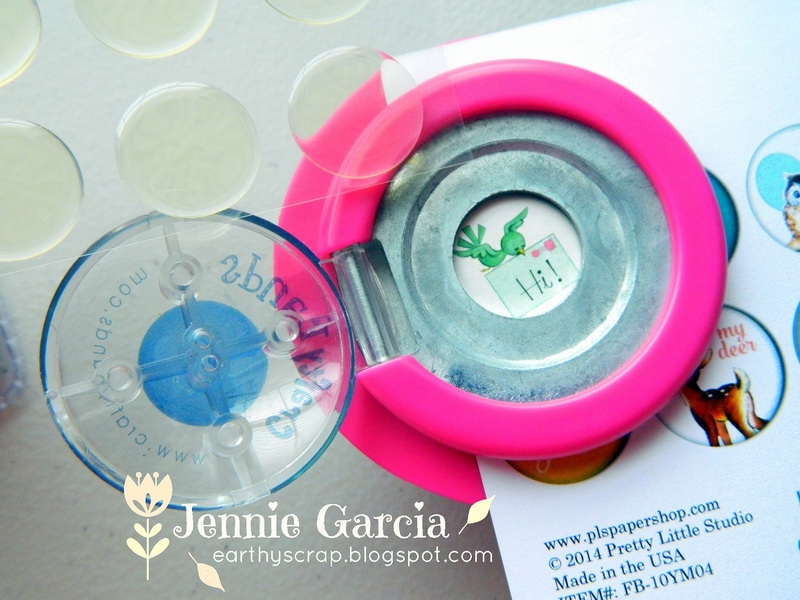 Now that they are glued just secure the circle to the bracelet using the snaps on the back of the circles. You are done! 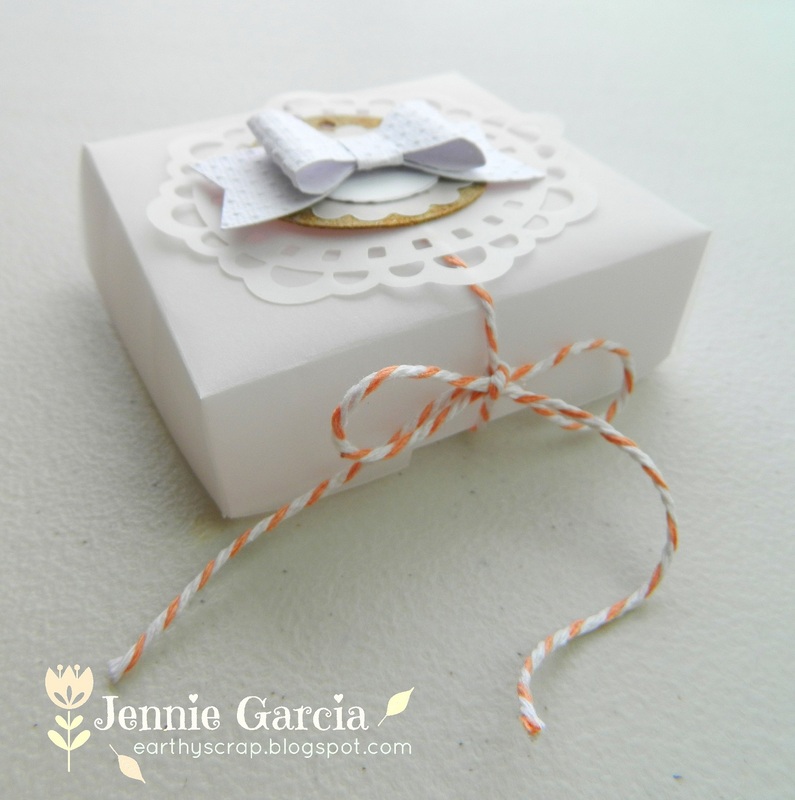 Let’s make a little box for it using vellum. Since the Xtreme Permanent Adhesive is clear it won’t show through the vellum! This box is similar to pizza box. the bottom will have all 4 sides while the top will only have 3. 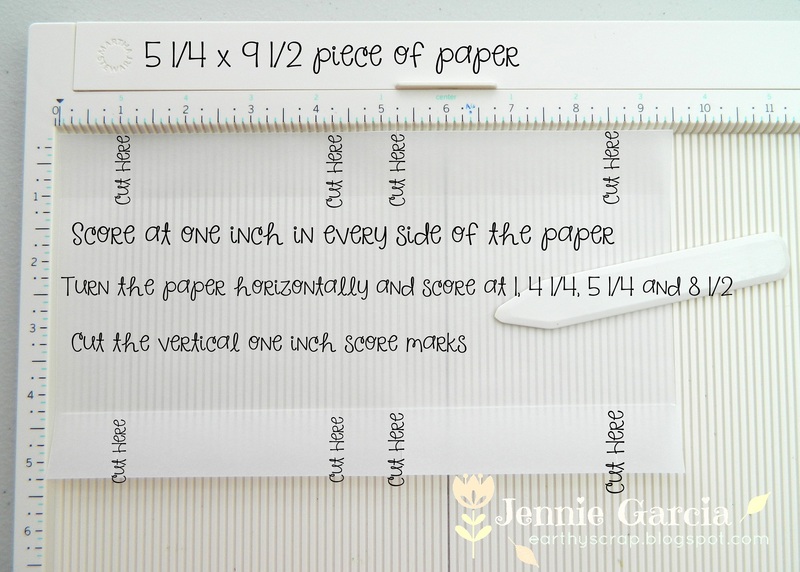 Get your 5 1/4 x 9 1/2 piece of paper and score on each side at one inch, turn the paper horizontally and score at 1, 4 1/4, 5 1/4 and 8 1/2. Cut the vertical one inch score marks. 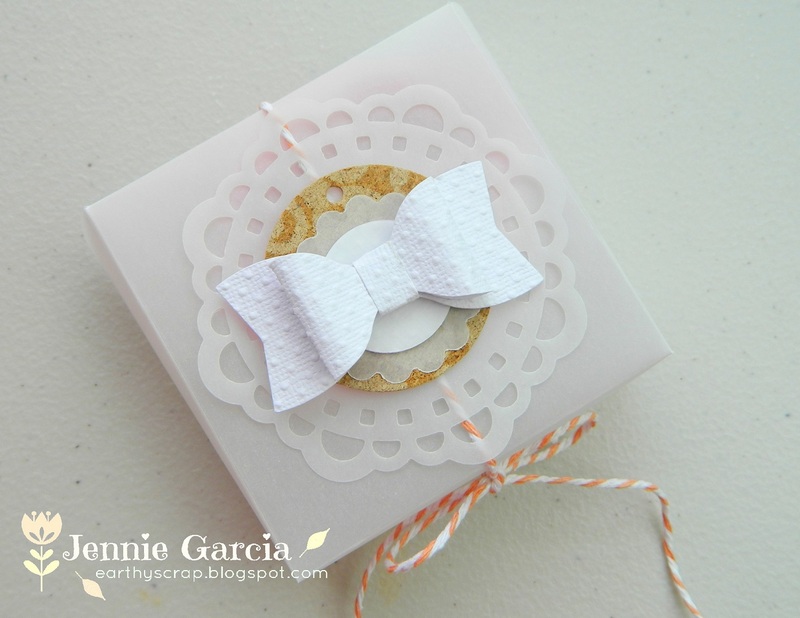 Fold you score marks and glue the tabs together with the Xtreme Permanent Adhesive to make the box. We can add a little extra love. You remember all the embellishments I made last week? I just added a vellum doily to this one and some twine and my gift was done! Cuteness! You can even do this for weddings! 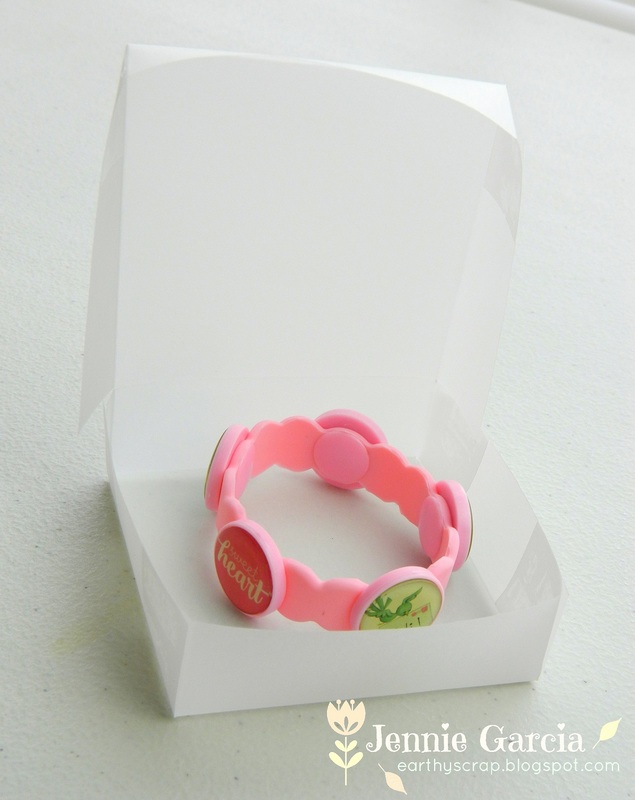 And the amazing prize for this lovely challenge! 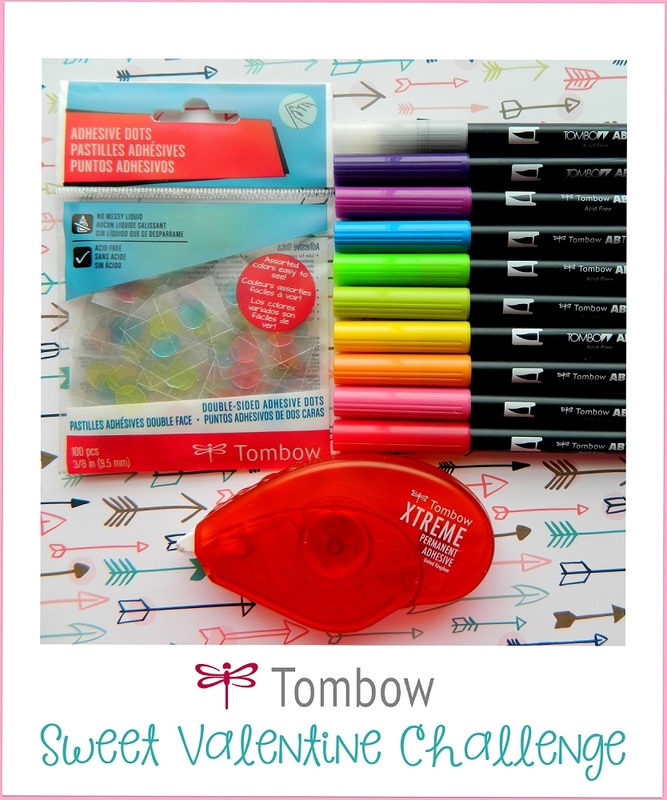 You get the Tombow Xtreme Permanent Adhesive, the NEW Tombow Adhesive Dots and the Tombow Dual Brush Pens- Bright Set! Oh My Heck that is soooo cute!! Awesome work! !